Suggs Kennel would like to thank our new/old Masters customers for a great 2018 Masters week. ​Thank you for considering boarding your babies with us at Suggs Kennel for Masters! 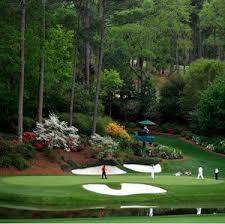 Our Kennel is located approximately 1.5 miles from the Augusta National Golf Course in Augusta, GA. There are a few things we'd like for you to know that will help with booking your reservations. NOTE: If our large runs are full, we will be happy to place you on our waiting list, and in the event a space becomes available we will call you. However, this is not a guarantee that one will open up. We do have room for dogs under 21 lbs., cats, birds, rabbits and guinea pigs. Due to space limitations in the Kennel, we ask that a maximum of two people per household drop-off and pick-up pets during this time. Vaccination records on all pets must be up-to-date, please review the vaccinations we require on the Rates page. Your Veterinarian may have the most current information, but we may not. Please ask your Veterinarian to fax the records to us at: 706-364-6944. Or, you may copy and mail them with the Deposit, or hand-carry them in to us. A confirmed Masters reservation is only when we have up-to-date vaccination records AND the deposit has been paid. We reserve the right to refuse a pet if the Vaccination Records are not current, the Deposit has not been paid or the pet is sick, or recovering from a recent surgery. When bringing food for your pet, please be sure to label the container or bag with your last name and feeding instructions. Please label all beds, blankets, towels, shirts, etc...with your last name using a Laundry Marker. We require a $50.00 per household deposit. This deposit will be applied as a boarding deposit and will be deducted from your balance. Before boarding we must have up-to-date vaccination records. Please see Cancellation Policy below. Cancellation Policy: Only credits issued based on the schedule below. If cancelled 15 days prior to the beginning of the Practice Rounds or by March 23, 2018, the $50.00 deposit will be credited to the next Board Bill. Reservations cancelled 10-14 days prior to the beginning of the Practice Rounds or between March 12th - March 23th will receive a $25.00 credit to be applied to the next Board Bill. 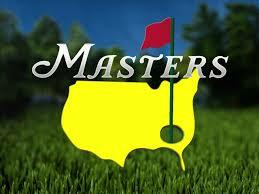 Taking great care of your pets so you can enjoy the Masters Tournament!